The Clinton Industries Work Activity Table w/ Cut-Out is a piece of equipment used in physical therapy, rehabilitation or exercise. It is designed for patients to have a specific area to do the necessary tasks included in their therapy. Robust, Adjustable and Greatly Design. 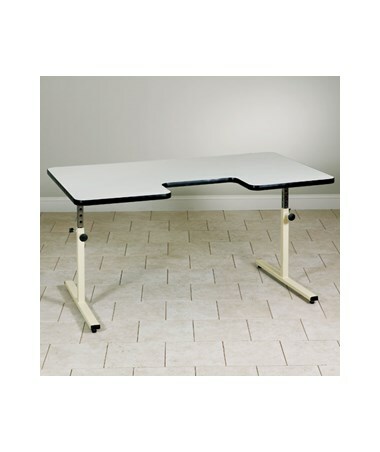 Constructed with a 1 1/8" all-laminate top, the Work Activity Table feature a T-molding edge bumper and an 18" W x 10" D cut-out. The table is mounted on a powder-coated steel base with chrome & scratch-resistant telescoping uprights. Each upright has height adjustable legs with self-indexing, spring-loaded plungers that have easy-to-read and numbered height indicator strip. 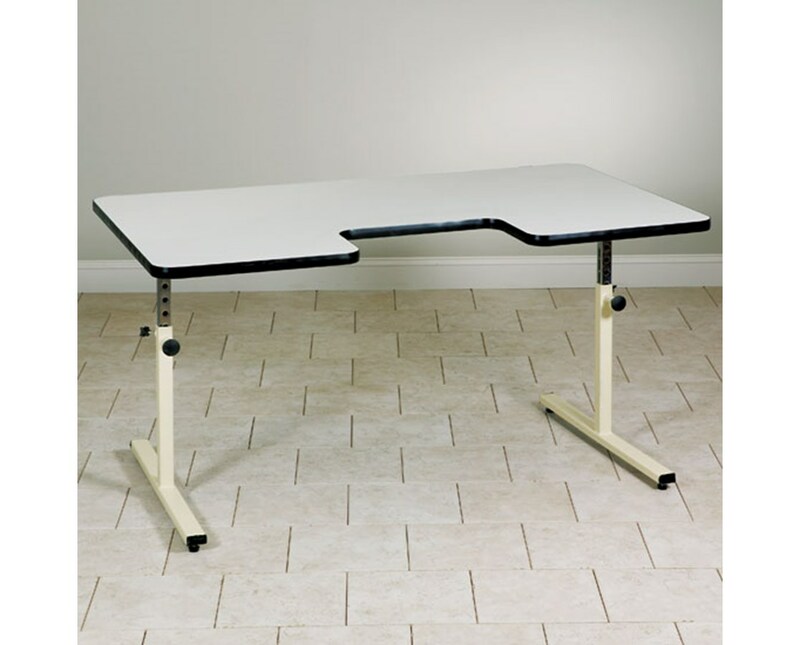 The Clinton Industries Work Activity table w/ Cut-Out comes with a size of 63" L x 40" W x 26" - 34" H and a 5-Year Limited Warranty.